Yes, we all know that the requirements of the Occupational Health and Safety Management System Standard published in March 2018 by the International Standards Organization (ISO) – from recordkeeping and documentation to communication and analysis – can be daunting. 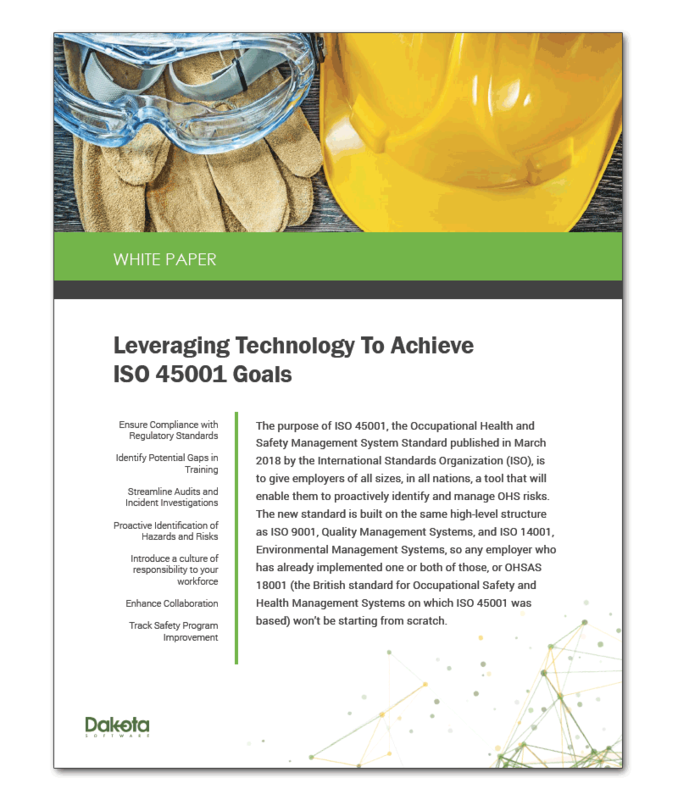 Many organizations have noted that, by the time they have completed all the documentation requirements for an ISO management system, it has become too cumbersome to have any practical use. But just as an industrial robot can increase productivity by taking over simple, repetitive tasks, there is technology available that can function alongside your OHS personnel to help them manage the documentation that is essential to implementing an effective, proactive management system.